AP/Julie JacobsonThe Rev. Al Sharpton. The Rev. 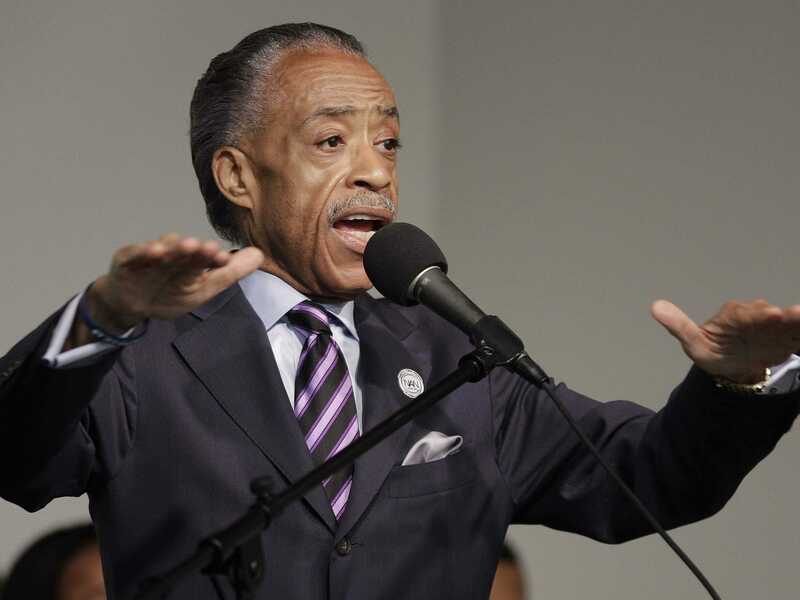 Al Sharpton held a fiery and extensive press conference Wednesday morning to push back against a New York Times story on his unpaid taxes. For a full 45 minutes, the veteran civil rights leader and MSNBC host lambasted the story, which said he had $US4.5 million in tax liens placed against him. Sharpton characterised the report as both inaccurate and politically motivated before making an abrupt exit from the event. “The story is at best misleading and totally out of context,” Sharpton said, charging the story was using outdated records. He also argued his organisation, National Action Network, was simply negotiating penalties with the federal government. The Times report, which was written by Russ Buettner, also detailed Sharpton’s history of controversial statements including comments about whites and Jews as well as his long history of money woes. At his press conference, Sharpton dismissed the entire story as old news and said it was noteworthy the report emerged when two Democrats he’s close to — President Barack Obama and New York City Mayor Bill de Blasio — are in office. I have not owed a dime in current taxes or in National Action Network taxes since President Obama or de Blasio has been in office,” Sharpton said, pounding his own hand for emphasis. Moments later, he turned and walked away from the podium. “I’ll see y’all,” he told the reporters.